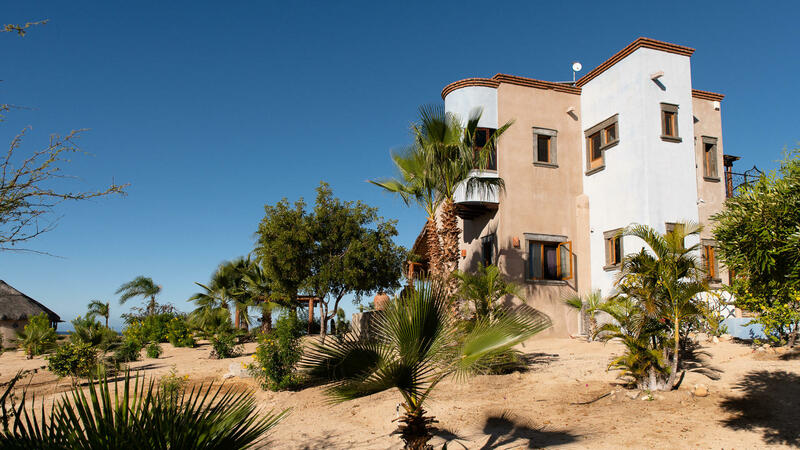 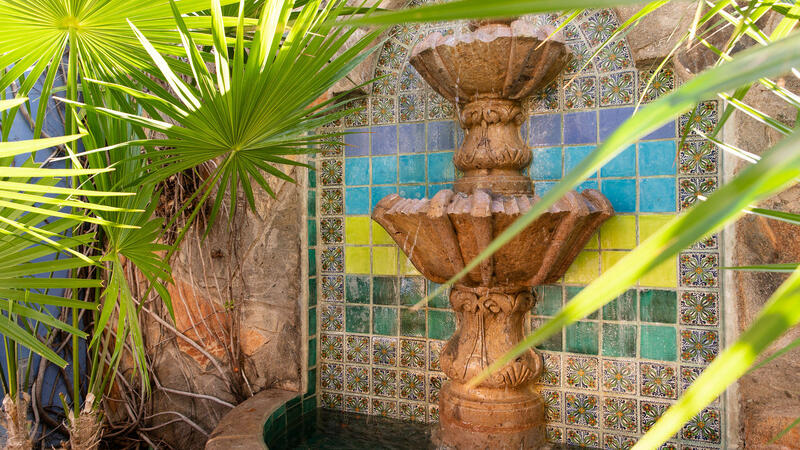 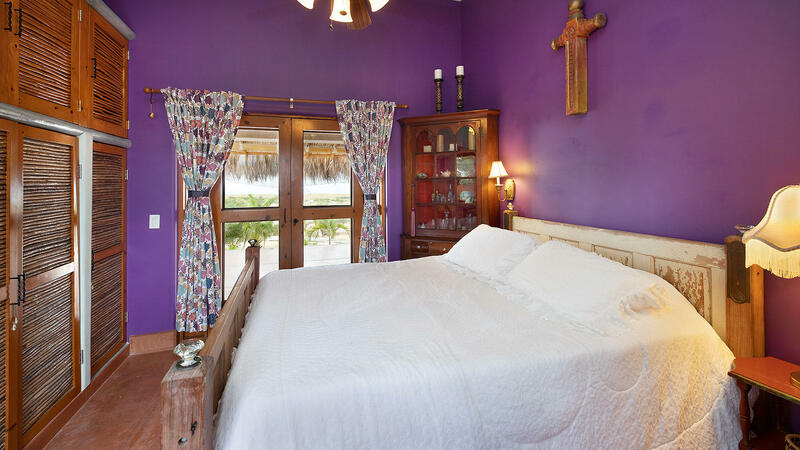 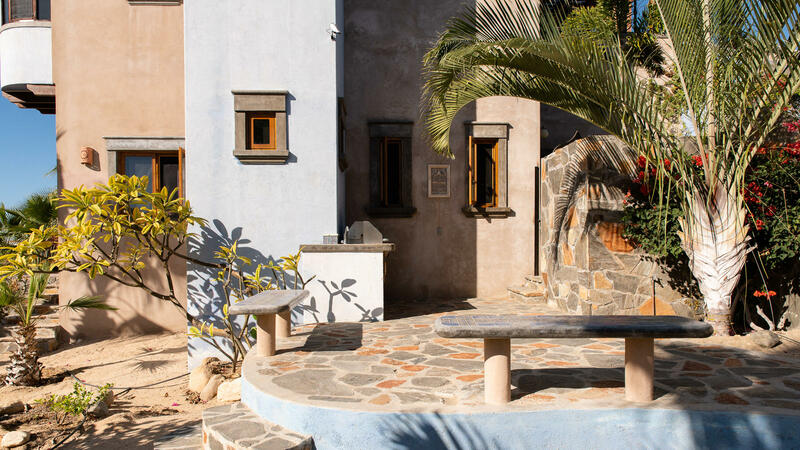 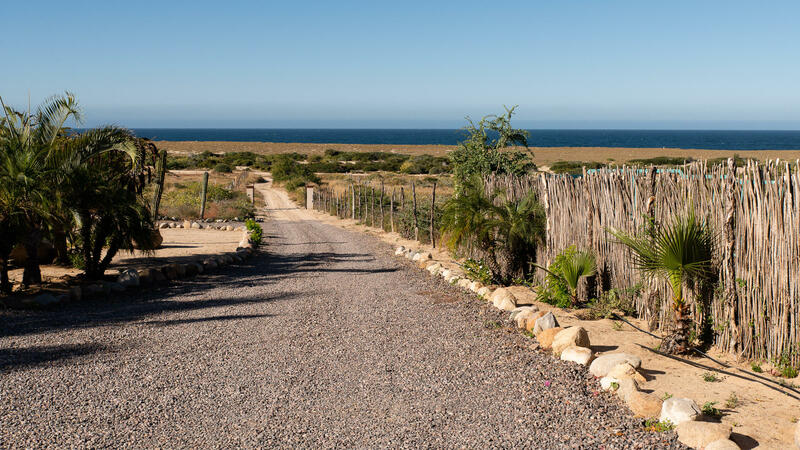 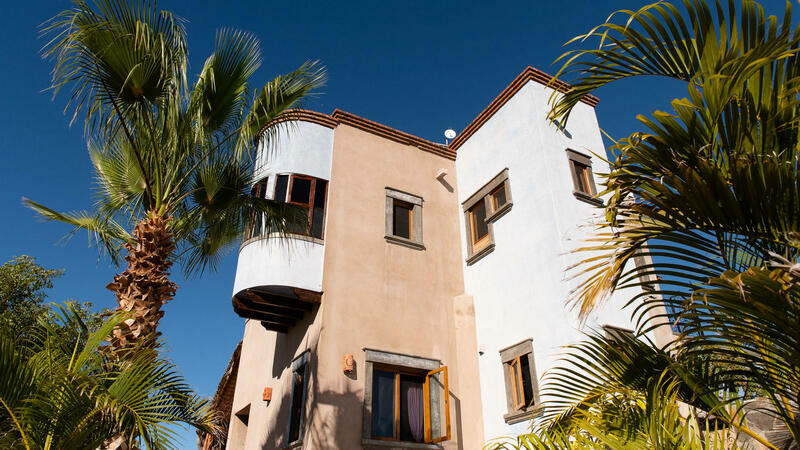 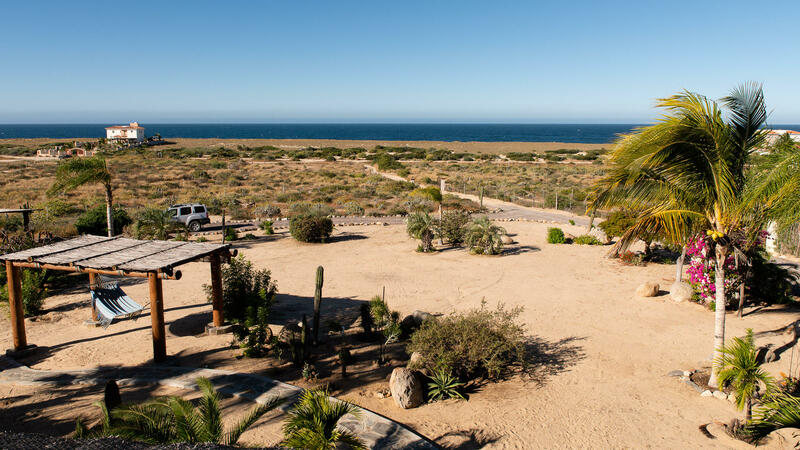 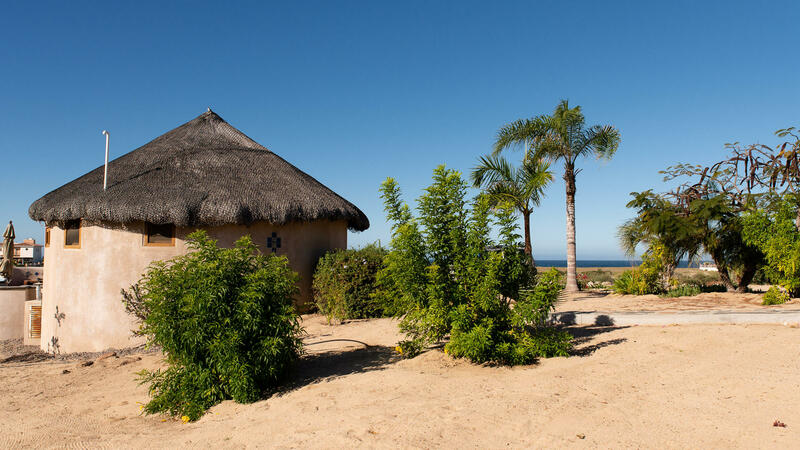 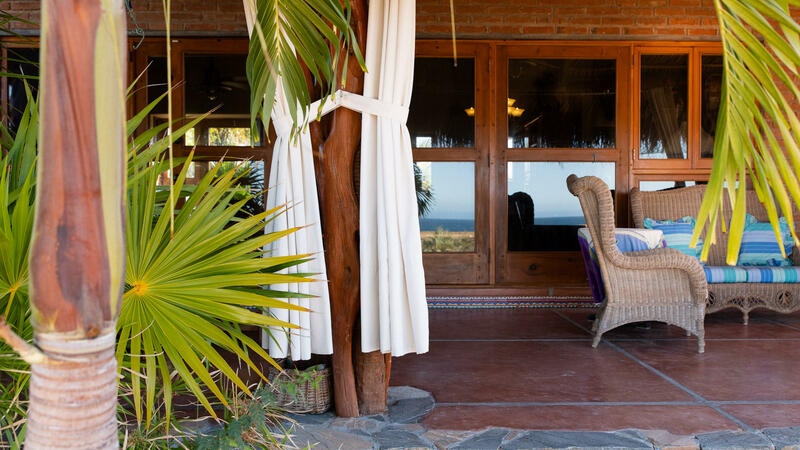 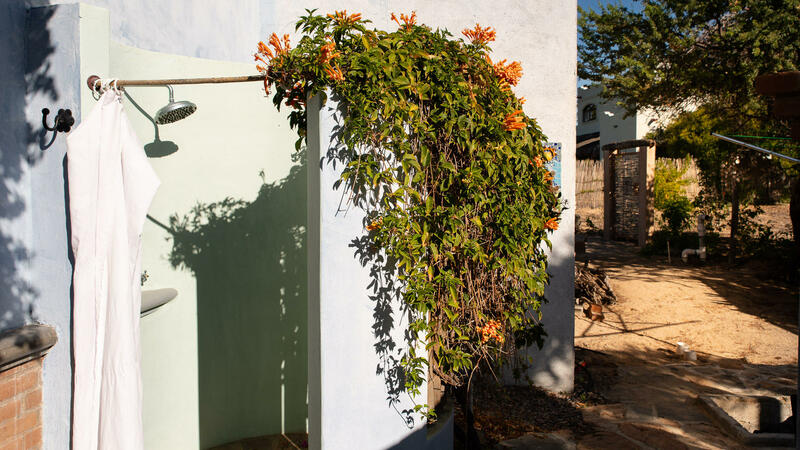 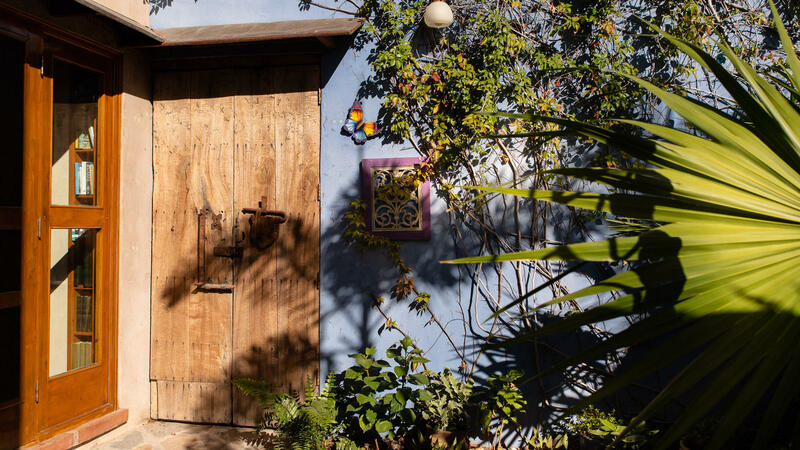 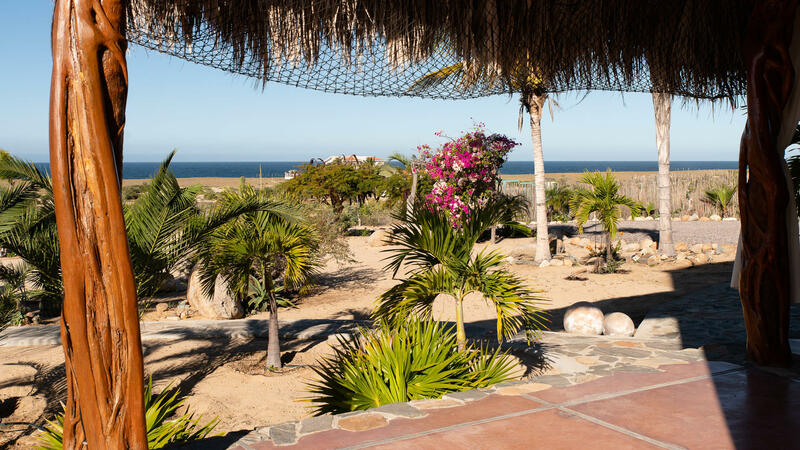 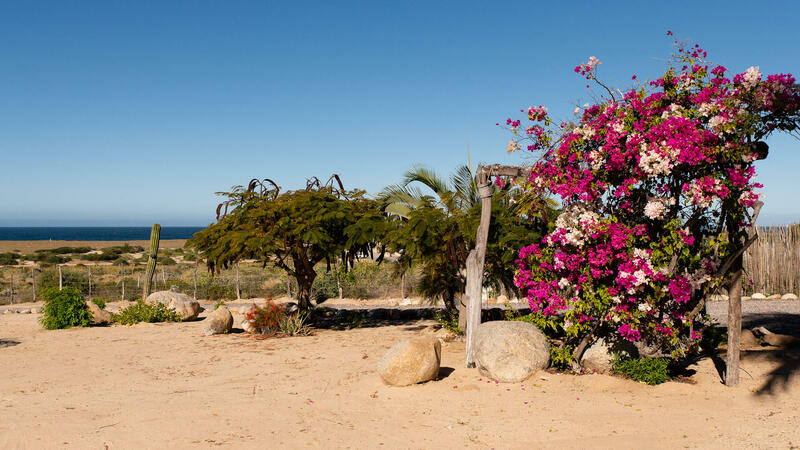 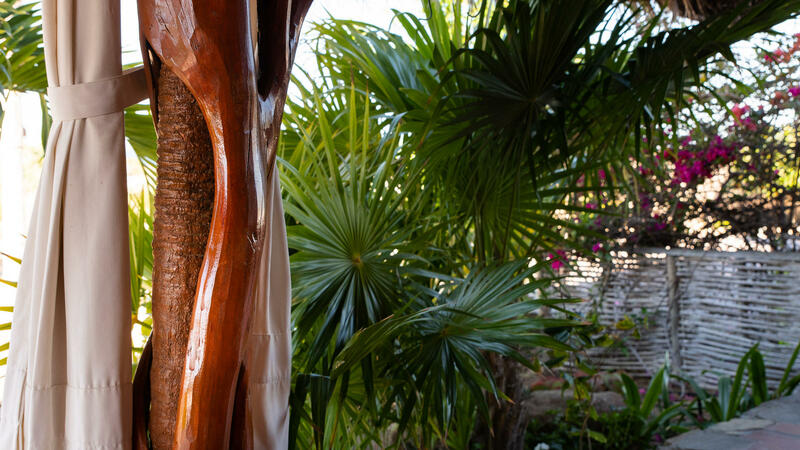 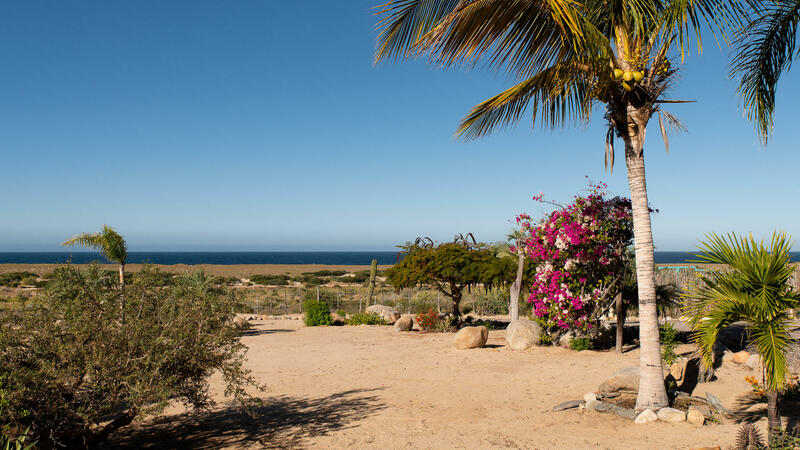 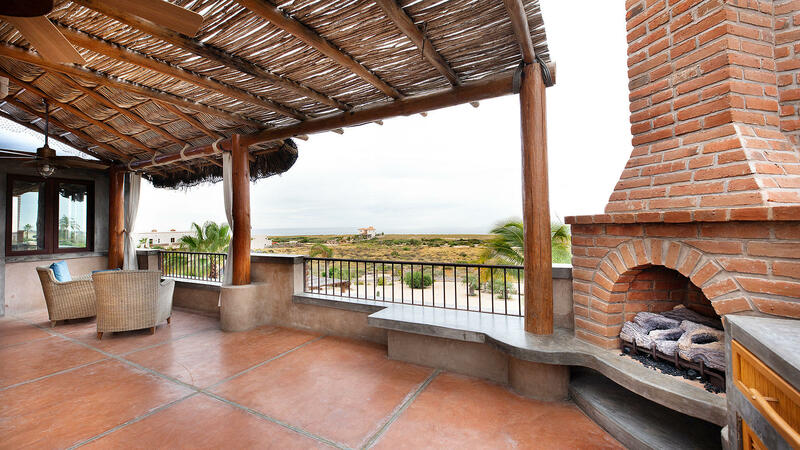 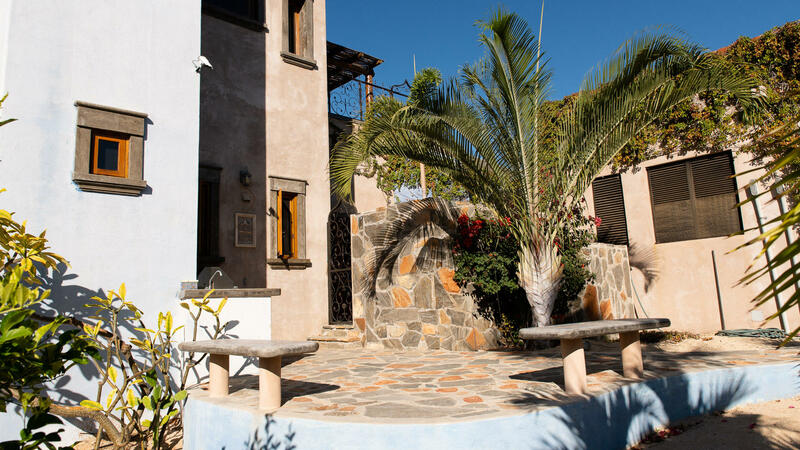 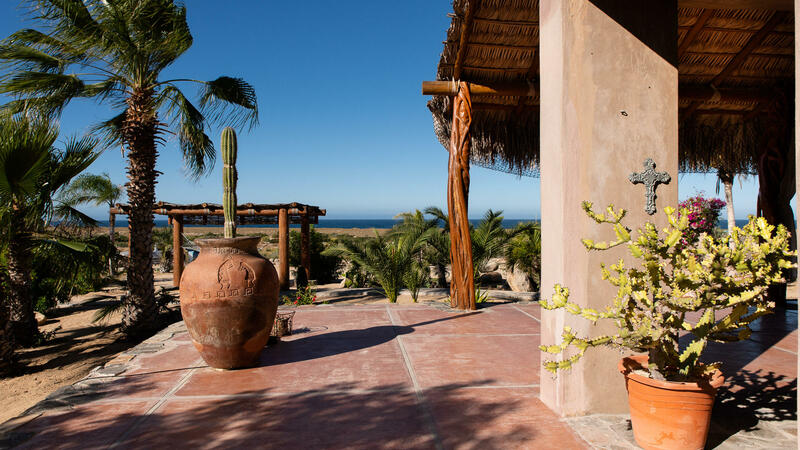 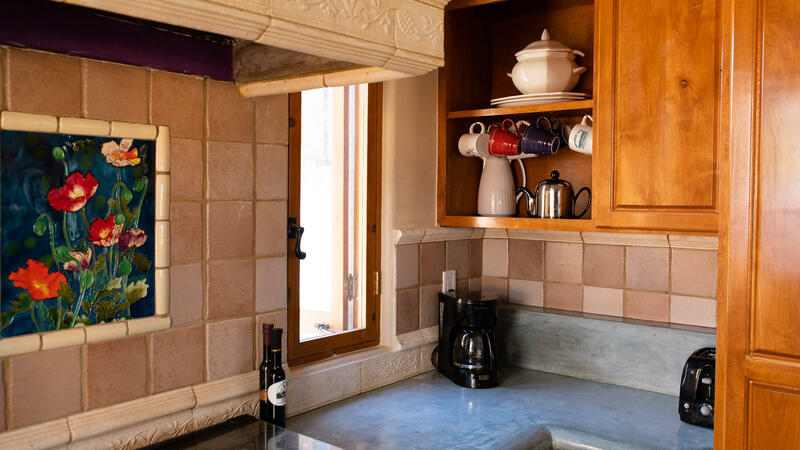 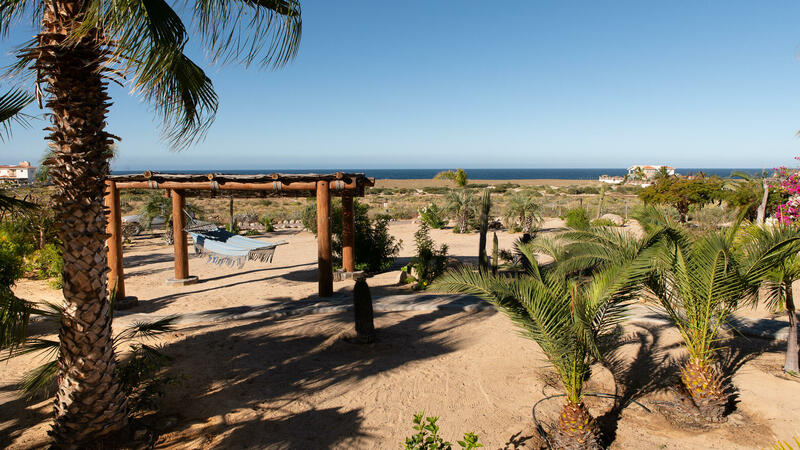 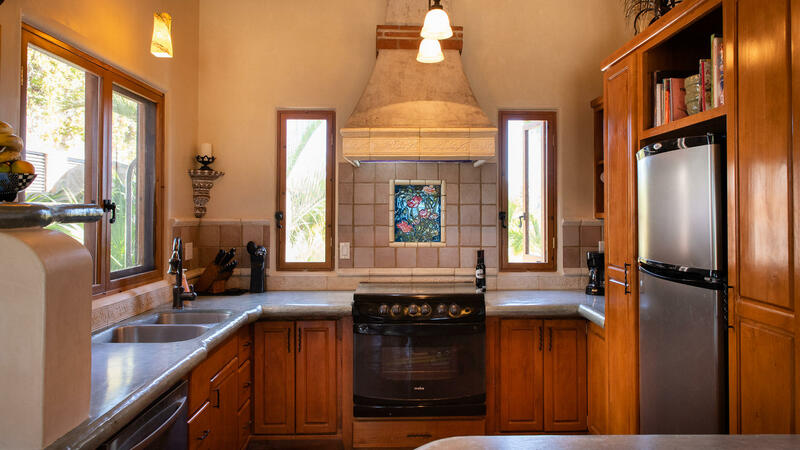 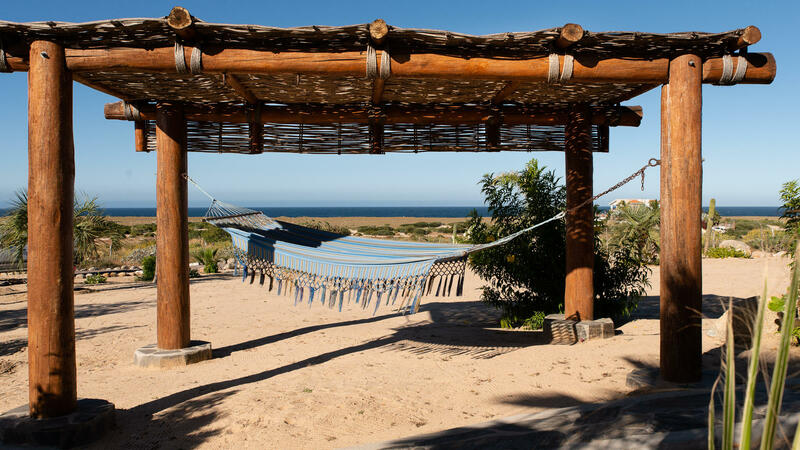 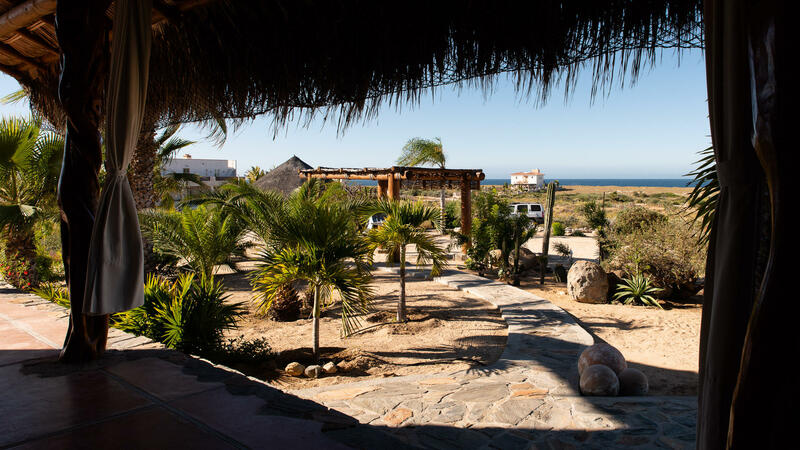 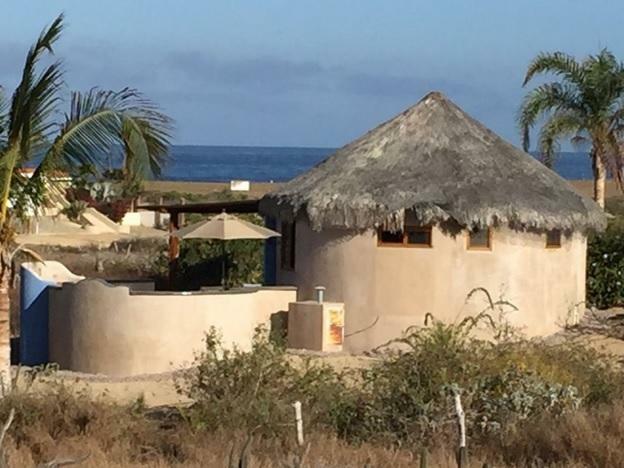 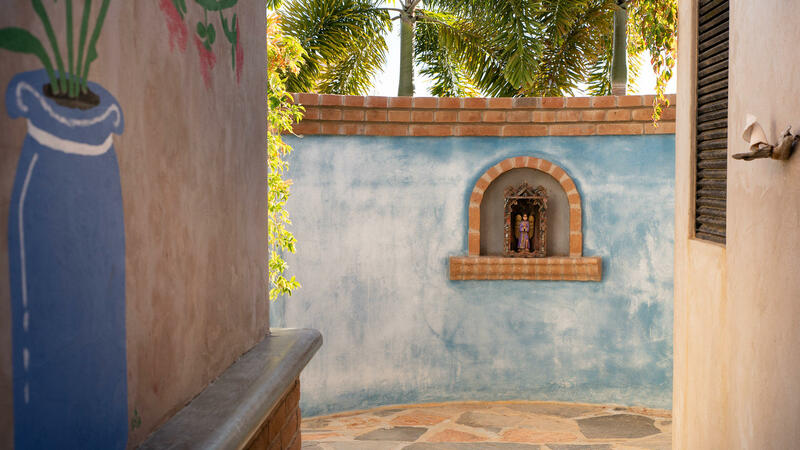 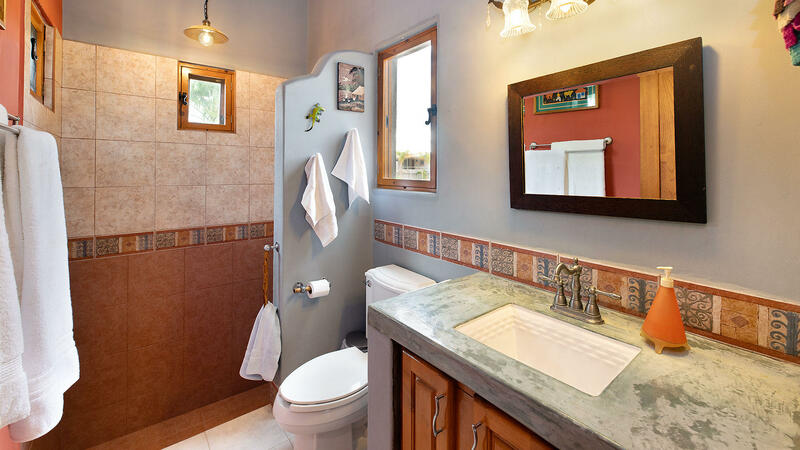 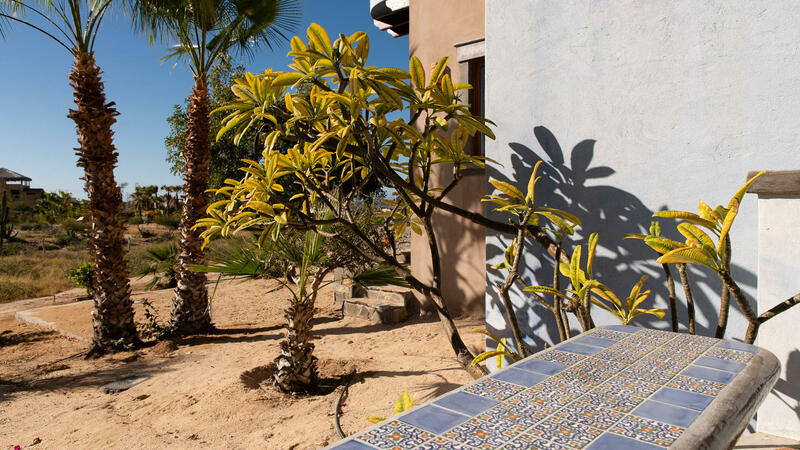 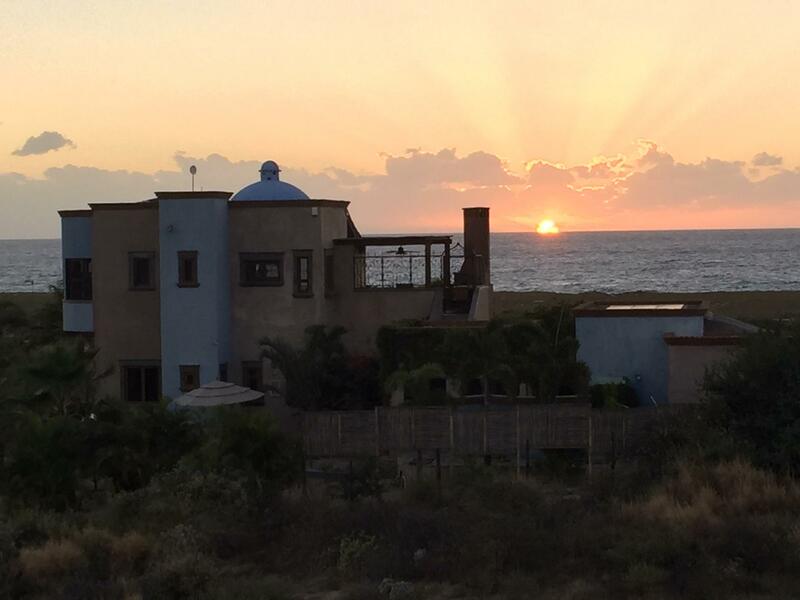 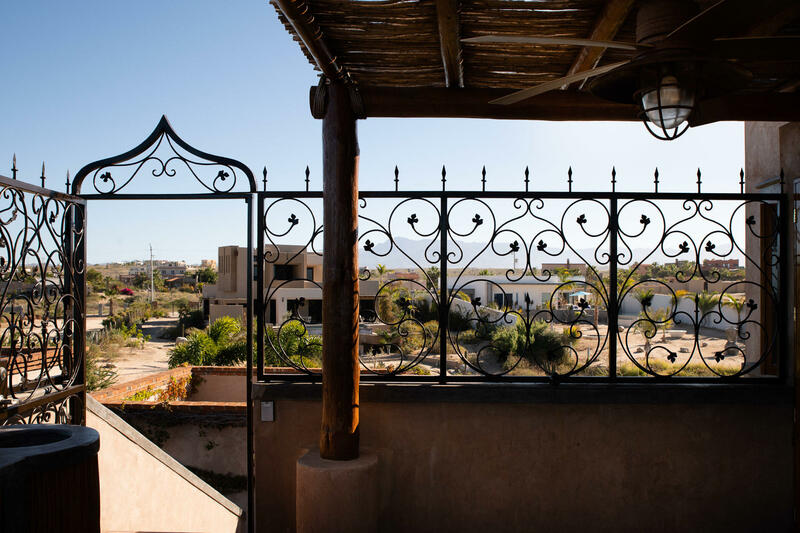 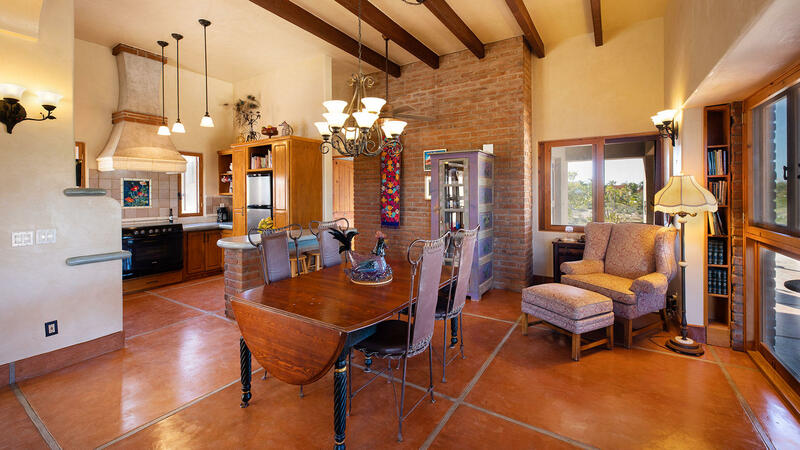 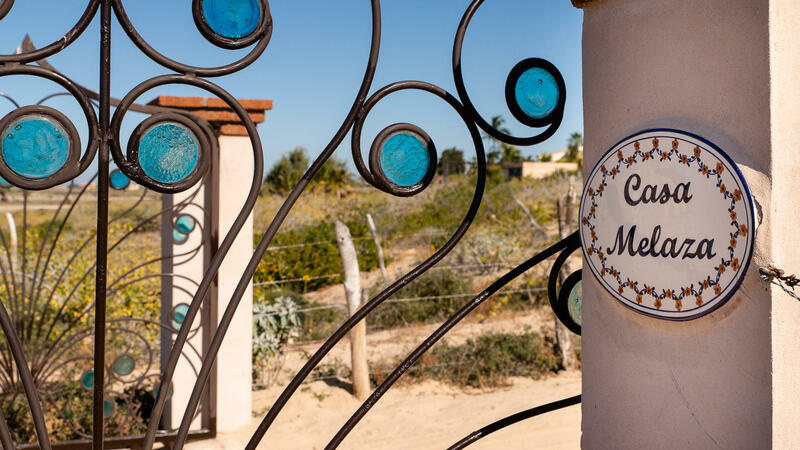 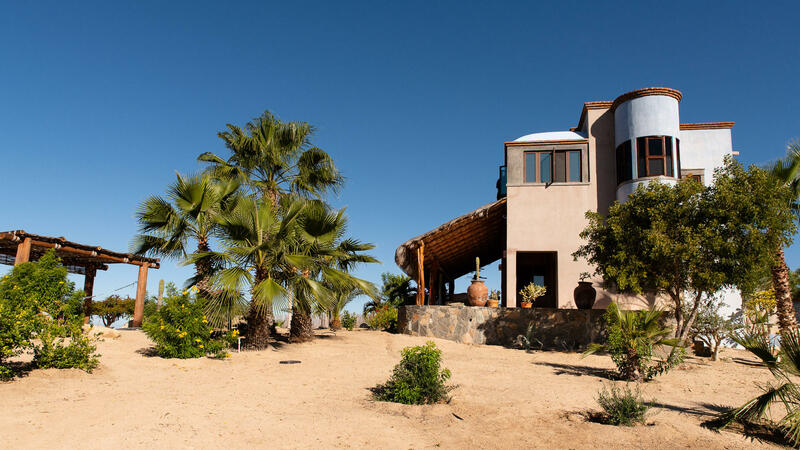 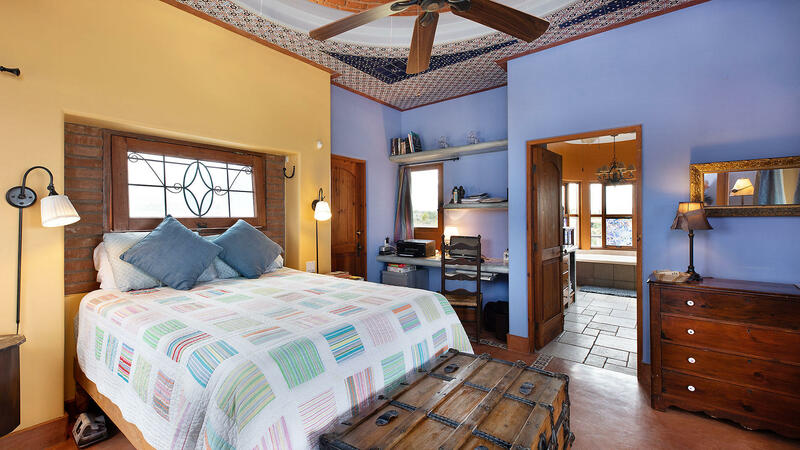 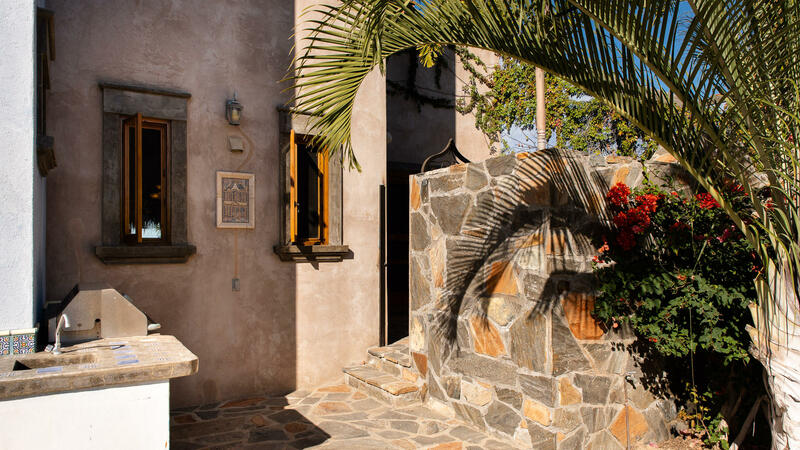 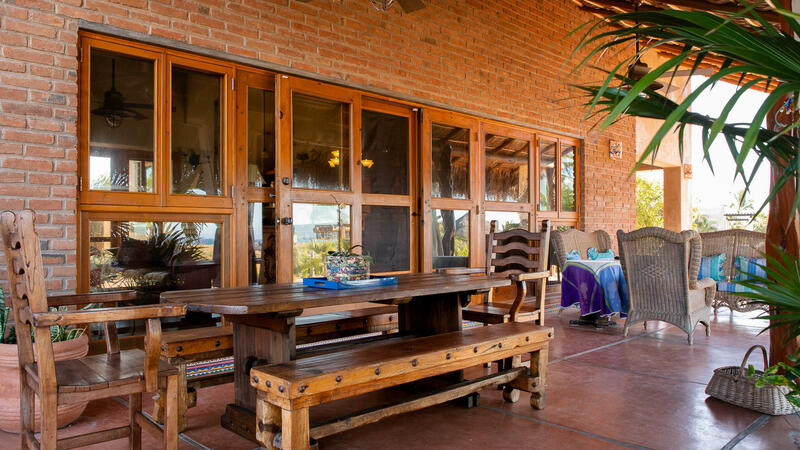 In the oceanside neighborhood of Las Tunas resides Hacienda Melaza. 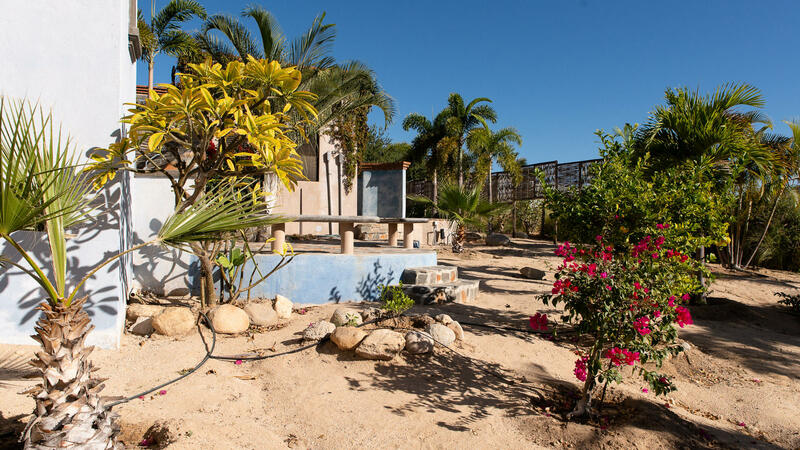 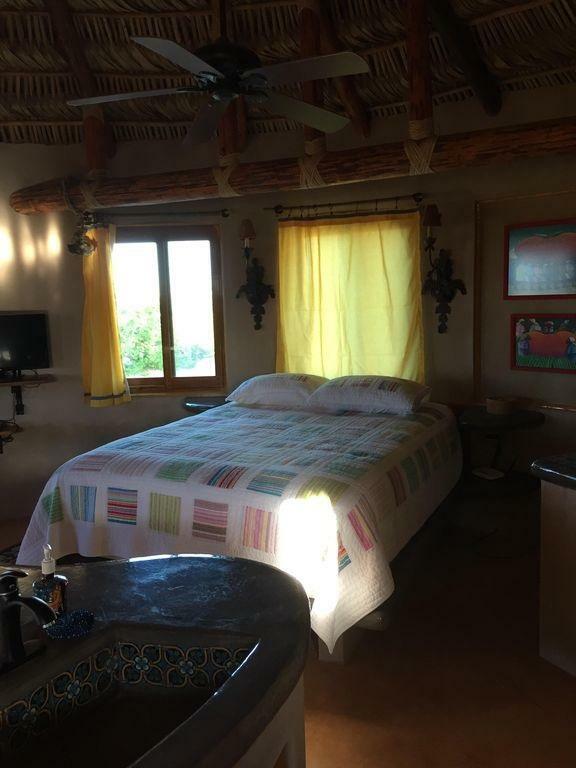 The ample 1.25 acre property has a commanding presence in an area of Las Tunas with larger estates. 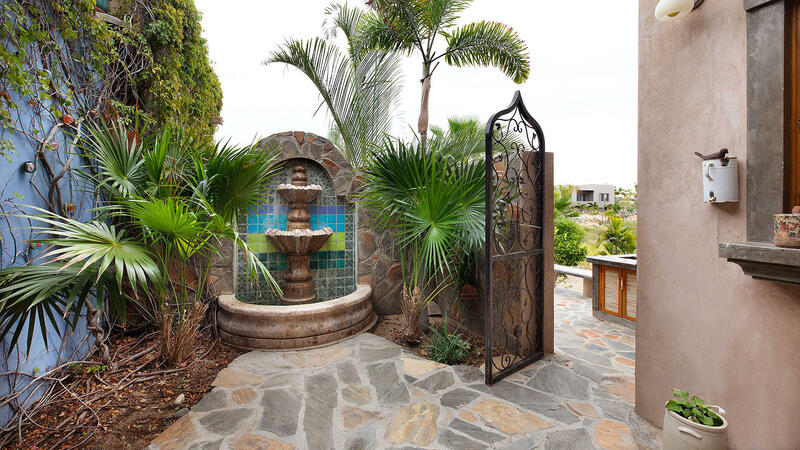 This residence is a gated estate situated on a knoll affording forever 180 degree ocean views and Mountain views. 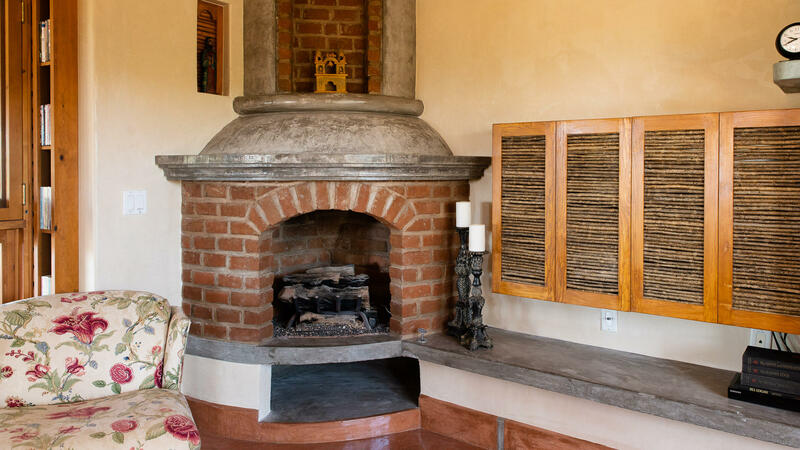 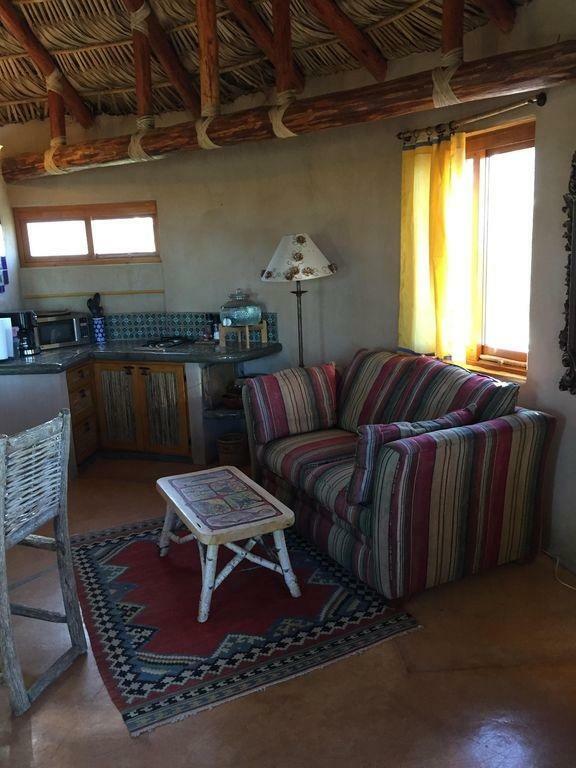 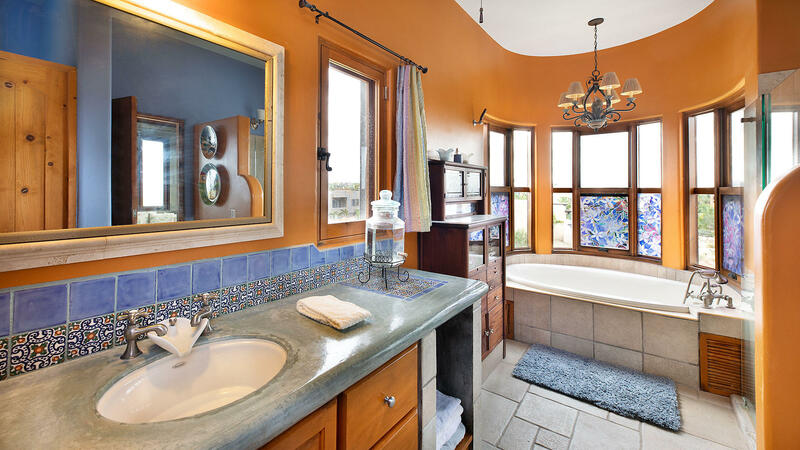 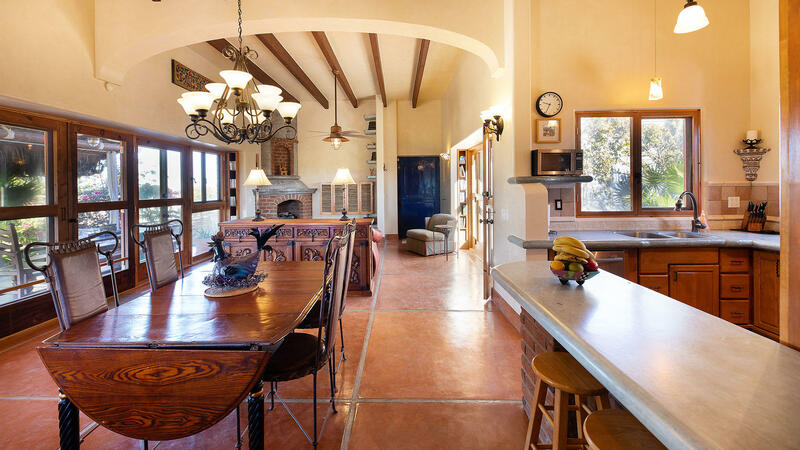 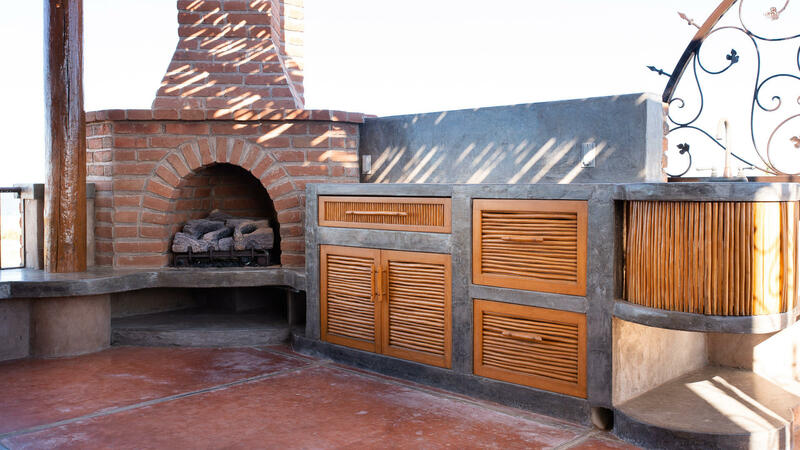 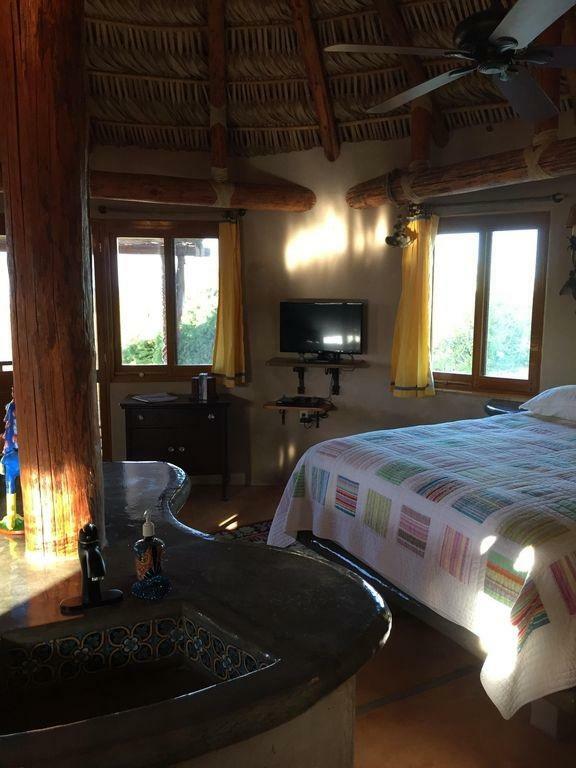 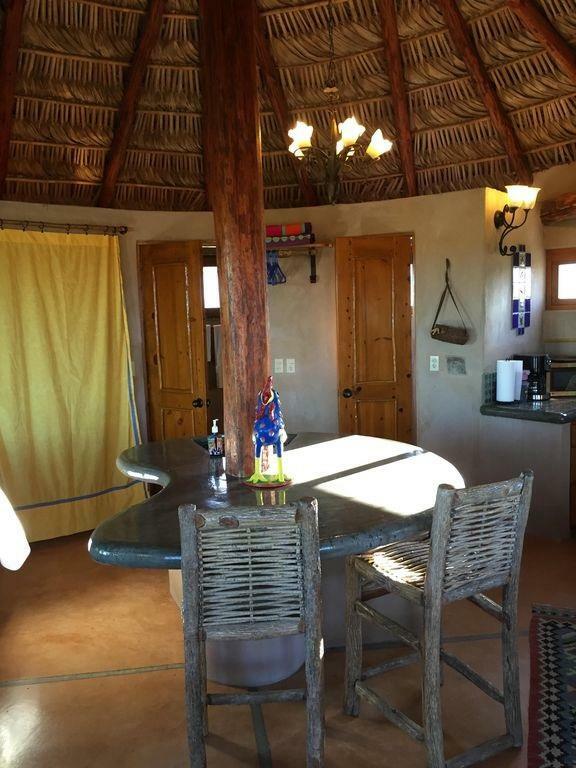 Thoughtful design and careful consideration to detail are evident throughout this 3075 square foot Hacienda inspired home. 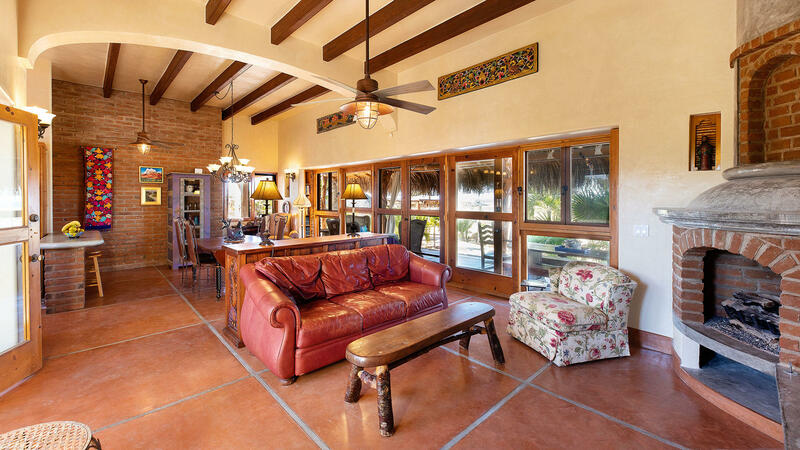 Beautiful wood framed windows, doors and ceiling beams add an elegant feel to this grand estate. 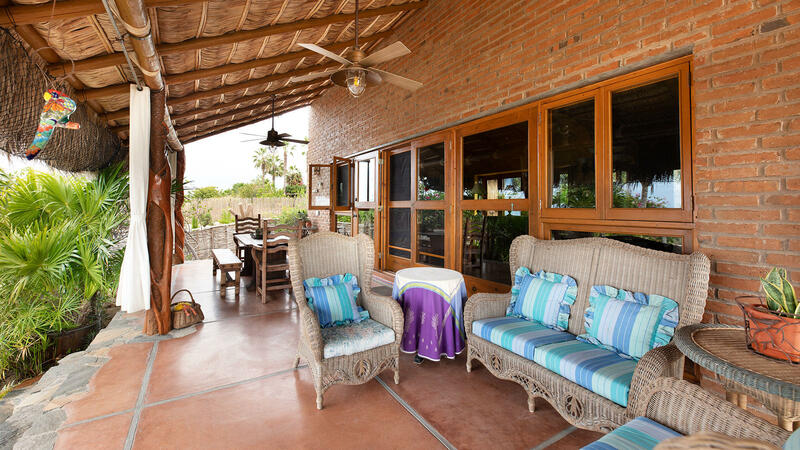 There’s a nice balance of outdoor living space adding to the Colonial Hacienda design. 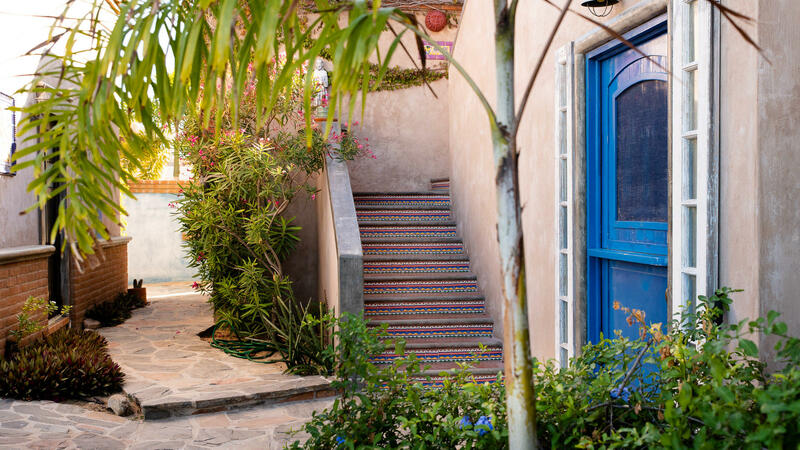 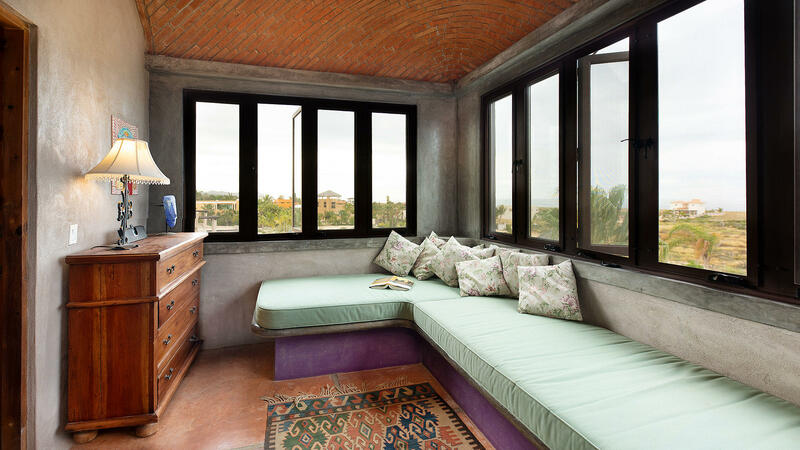 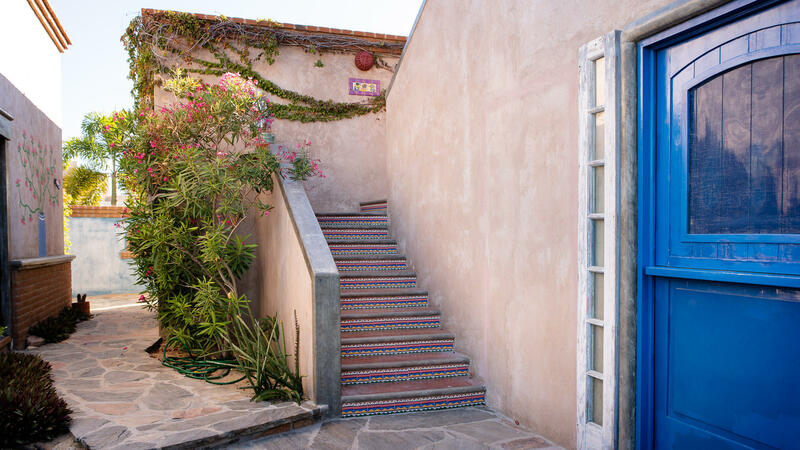 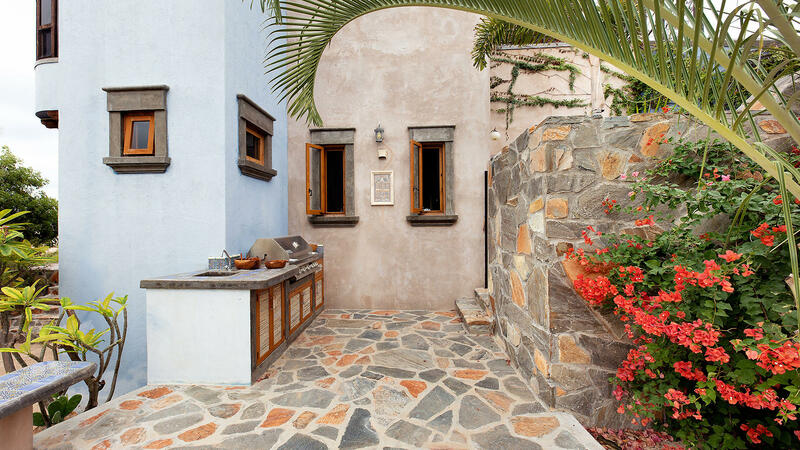 A courtyard off the living room is not only charming but inspiring. 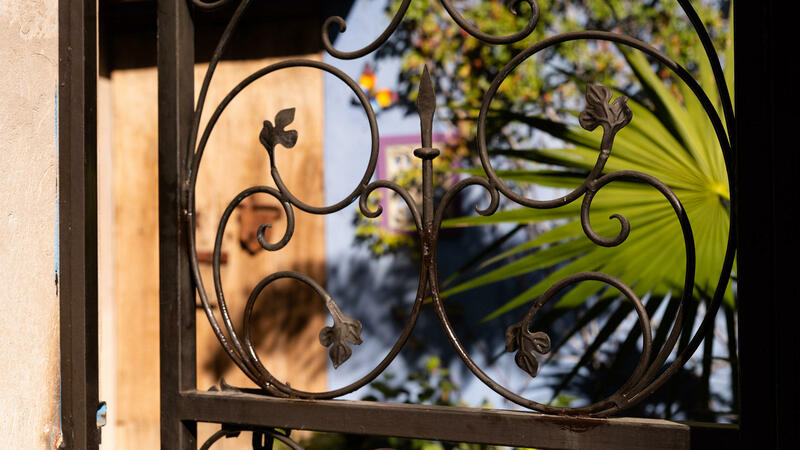 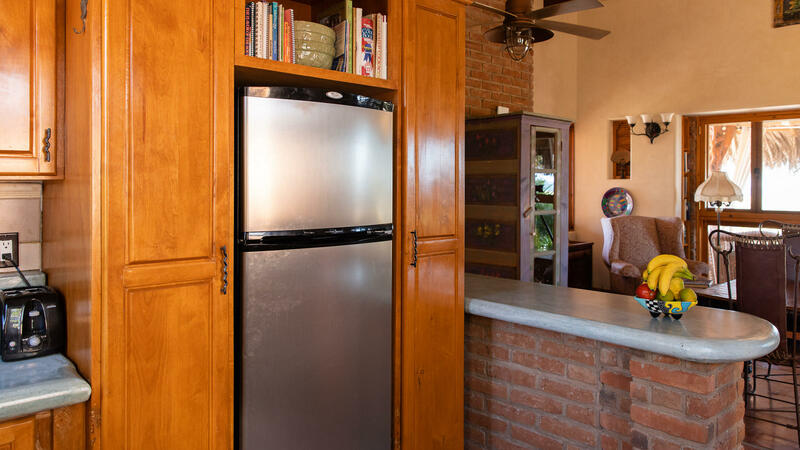 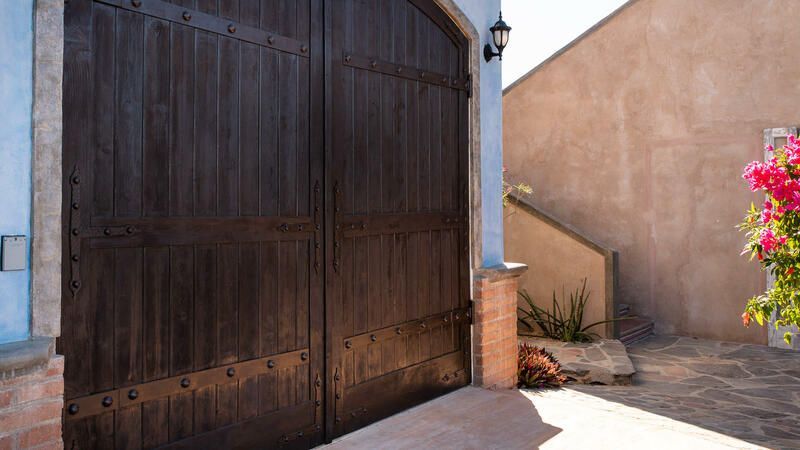 Antique wooden doors and artfully scrolled iron is just one of many special touches.